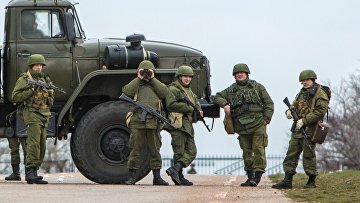 State Duma committee supports extending National Guard’s rights on using weapons | Russian Legal Information Agency (RAPSI). MOSCOW, June 20 (RAPSI) – The State Duma Committee on security and fighting corruption has supported an amendment to the bill on Russian National Guard, extending its rights on using weapons, including, under certain circumstances shooting in crowds. According to the amendment, a serviceman of the National Guard has no right to use weapons in a crowded area if such action may result in harm to bystanders, “excluding the use of weapons in order to prevent terror attack, freeing hostages, repelling a group or armed attack on important state objects or cargos. On April 5, President Vladimir Putin signed a decree launching a major overhaul of Russia’s security agencies. According to the decree, Interior Ministry’s interior troops should be transformed into the National Guard directly subordinated to the President. The bill on National Guard gives the service a right to use special equipment and weapons. The Presidential decree specifies the main duties of the National Guard, which should include fight against terrorism and extremism, participation in the territorial defense of the Russian Federation, protection of important state facilities and special cargoes, support for border guards, and monitoring of compliance with the law in the areas of arms circulation. 13:50 20/06/2016 The State Duma Committee on security and fighting corruption has supported an amendment to the bill on Russian National Guard, extending its rights on using weapons, including, under certain circumstances shooting in crowds.